Metaphors and analogies are comparisons between unlike things that have some particular things in common. You can use metaphors and analogies to make new and unfamiliar concepts more meaningful to students by connecting what they already know to what they are learning. Introduce students to the new concept you are teaching. Select a familiar concept that has some of the same qualities of the new concept and review the familiar concept with students. Brainstorm characteristics or qualities that are similar in the old and new concept. Then brainstorm how the items are different, or where the analogy breaks down. Discuss the relationship between the objects to determine themes that demonstrate the two items' similarities. Have students write a summary the new concept and familiar concept, explaining the similarities and differences. How Can You Stretch Students' Thinking? 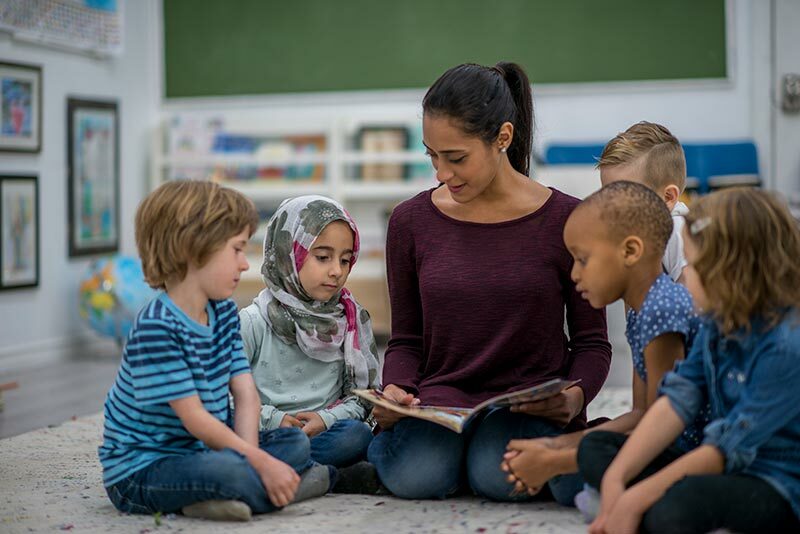 Analogies created by teachers can be used to help students understand new concepts, but powerful understanding occurs when students create their own analogies to find relationships between familiar and new concepts. It is important for students to understand that when comparing two things, there will be aspects of the analogy that are not perfect. Analogies can sometimes lead to misconceptions. No analogy is perfect, as two essentially different items are compared. For example, the analogy between the camera and the human eye is valid in some respects, such as the way the lens works in the two mechanisms, and is invalid in other respects, such as the different ways the two mechanisms focus. When an analogy is more misleading than clarifying, we call it a false analogy. Have students challenge each others' analogies, and be on the lookout for false analogies. Analogies can be used to introduce new vocabulary or to compare situations or characters in literature. Have students create a metaphor for the character of Scrooge in A Christmas Carol (e.g., "Scrooge is like ..."). Analogies and metaphors can be used to enliven ordinary language and to give maximum meaning in a minimum of words. (e.g.,"Her backyard is an adventure park"). Have students create self-portraits using analogies. Use analogies and metaphors to activate prior knowledge. When introducing fractals, have students discuss the form of tree branches, and then introduce the concept of fractals. When introducing the metric system, discuss the base-10 system and use the analogy of clocks with the base-60 system. Use an analogy to introduce events. Use the analogy of a fight with a family member as a way to learn and think about the Civil War. Use an analogy to introduce concepts. Compare the form of a bird to that of an airplane to introduce the principles of aerodynamics. Use an analogy to assess understanding of concepts. Have students develop an analogy for a concept that has been taught. Students might say that migration is like a vacation, because both birds and people travel someplace warm, stay for a while, and return to where they started. This is an intermediate science lesson using the analogy of bird migration being like a tropical vacation. This is an intermediate lesson plan introducing metaphors in writing.